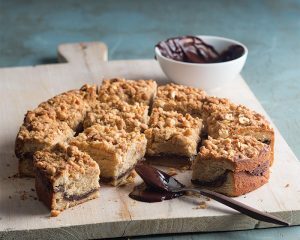 Derived from the traditional German kaffeekuchen (sweet breads or cakes served during the daily coffee break), these irresistible streusel-topped cakes are delicious anytime of day—no cup of java necessary. 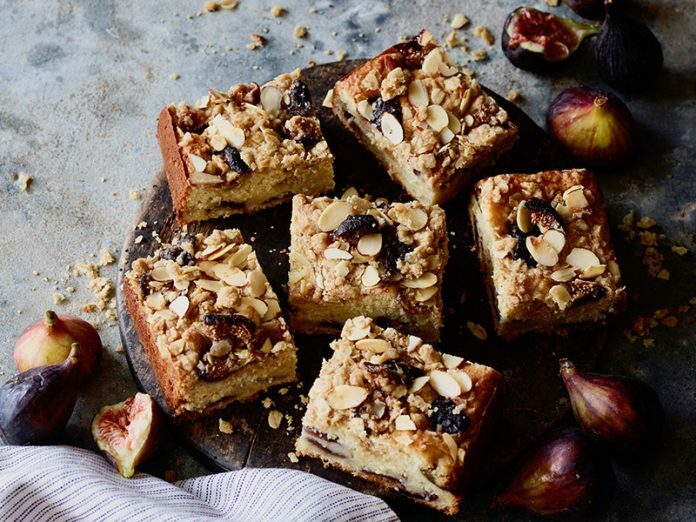 We updated the classic streusel coffee cake with fresh ripe figs and almonds. 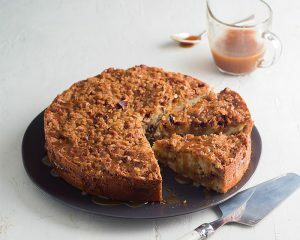 No need to distinguish between breakfast and dessert—it’s an eat-it-anytime-you-crave-it cake. 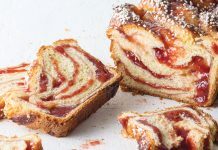 A layer of sweet raspberry jam ribbons through this tender buttermilk cake. 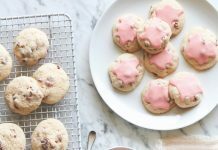 Don’t be surprised if the scent draws a crowd before it’s even out of the oven. 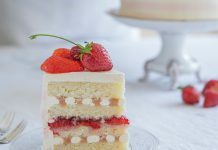 You won me over with your recipes! Thanks!